Organising sport can be a challenge. How do you attract and manage members? What do you use to organise competitions and teams? How do you publish your sessions and get people signed up? What’s the best way of keeping members informed? How can I accept and manage payments? We should be supporting people who organise sport – whether they be a large club, a regional association, or a workplace group. If only they had one simple product that could do all this online or through an app! Playwaze provides a web and app product that helps people to organise all sorts of sports activities in one place – sessions, classes, competitions, teams, members, news, messaging, and payments, and more. It makes it easier for people to organise sport and easier for participants to play. Anyone can use Playwaze online and through the app. Each sports community can be customised with its own branding, feature options, and settings so it feels like your app within our app. Or we provide fully white labelled versions of Playwaze so clubs and sports organisations can have their own app on Android and IOS. These white labelled apps can incorporate bespoke features, content, and custom integrations with CRM systems and websites. 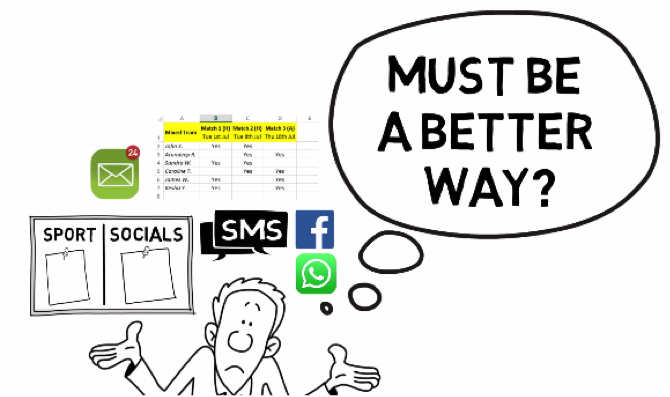 So you can use Playwaze straight “off the peg” for organising some weekend bike rides, or you could use it for organising your tennis club champs, or your organisation could deliver a white labelled app and have all the sessions, classes, teams, and competitions from it automatically published to your website, and feed all the activity data back into your CRM. Playwaze is fully OpenActive ready meaning users can instantly publish sessions and classes as open data straight from the app. They can publish privately to their own website or publicly to other websites. You can even preview your OpenActive feed within Playwaze and customise the branding for website publishing. We also offer an OpenActive / Imin white labelled packaged solution. This allows any sports clubs and groups in your sector to generate open data through your Playwaze app and merges it with any other relevant open activity data in your sector through the Imin OpenActive feed. All these sessions and classes are then bookable through your app or through your website. This solution not only publishes open data, but it also provides an instant way for sports groups and clubs to create an online sports community, manage online payments, and freely promote activities through OpenActive – helping them to organise and grow. Our OpenActive / imin solution brings all your sports sessions together into one place. These can then be published through the app or through an activity finder on your website. 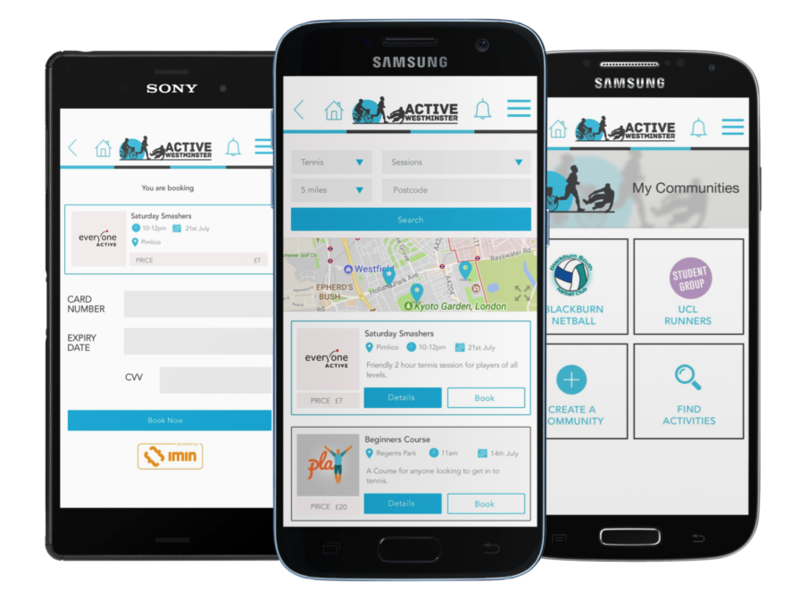 Not only that, it provides a quick way for clubs and groups to get started and organise their activities online and through the app before publishing to your OpenActive feed. Playwaze can also provide a standard Approvals component allowing you to control who publishes to your app and website. Primarily we’re looking to work with organisations who have an interest in increasing sports participation. 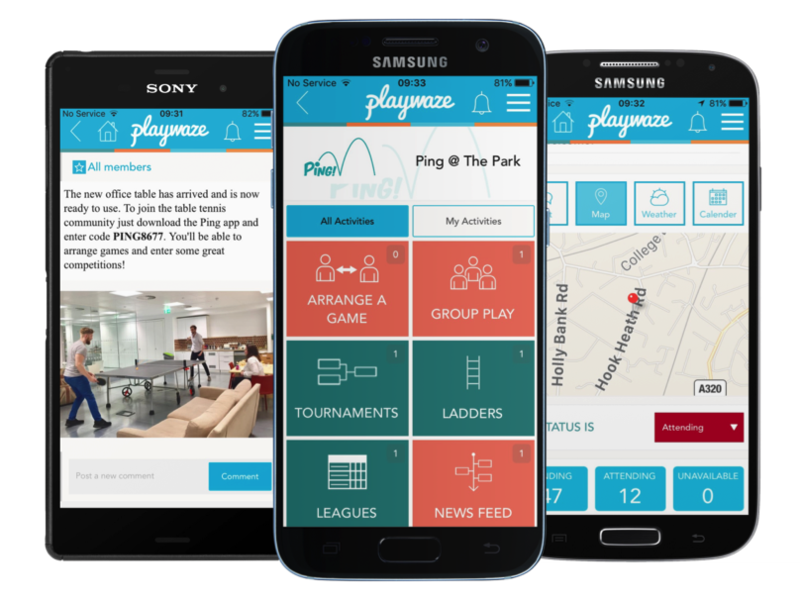 Playwaze is a flexible multi sport platform and can be used in many different contexts, ranging from clubs and groups to Local Authorities and County Sports Partnerships. If you’re interested in helping grassroots sport, promoting sport, understanding sports behaviour, or increasing memberships then Playwaze can help you. We only collect basic registration data for users. However, some of our white labelled solutions collect extra data for users and we store that separately. This data might include membership numbers and qualifications. Once you are a Playwaze user you can join (or be added to) any community on the app. Playwaze also has built in safeguarding features allowing you to hide all personal data and disable private messaging..
Playwaze produces activity data – who played what, where, and when. This data can be shared, by arrangement with relevant sports organisations e.g. National Governing Bodies and County Sports Partnerships to help them better understand sporting activity in their sector. Playwaze also produces session data and competition data which can be shared through OpenActive to public or private websites. Community administrators control how they share this data. Currently, Playwaze is used by 1000 sports associations, clubs and groups. We also provide white labelled solutions to organisations, including Parkour UK and England Touch. Some of our testimonials can be seen here. Playwaze integrates with CRM and membership systems. The app is a great way to connect organisations with their members and non member participants alike. It can help them build up rich activity profiles by sending participation data back to your CRM system, or it can help you promote membership to your organisation straight through the app. Integration turns the reach of the app into tangible benefits for sports organisations. One of our key partners is Sport:80 and Playwaze integrates as standard to their Sports Management Platform. We also partner with imin to deliver rich open data through our white labelled solutions. At Playwaze we understand sport and technology. We believe that the smartphone offers the most powerful platform through which to drive sports participation. Combine that with open data and you have a framework for achieving real growth in the number of people getting more active. Playwaze isn’t just about getting people active – it’s about keeping them active too. 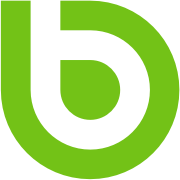 We’ve built a powerful and flexible platform that enables sports providers and other organisations to quickly leverage the benefits of mobile technology and open data without all the effort and expense of building complex systems themselves. 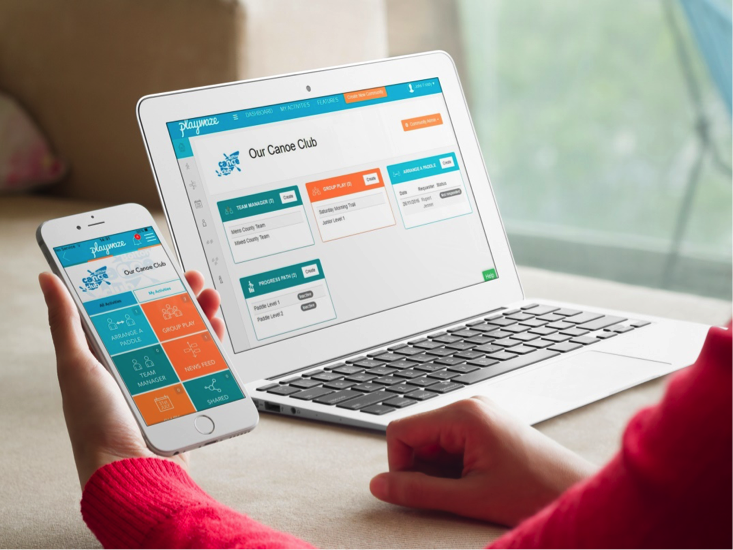 Put simply, if you’re looking for a modern, accessible solution that fits your requirements around sports participation then you should look at a Playwaze solution. There will be one for you. Making it easier to organise sport.